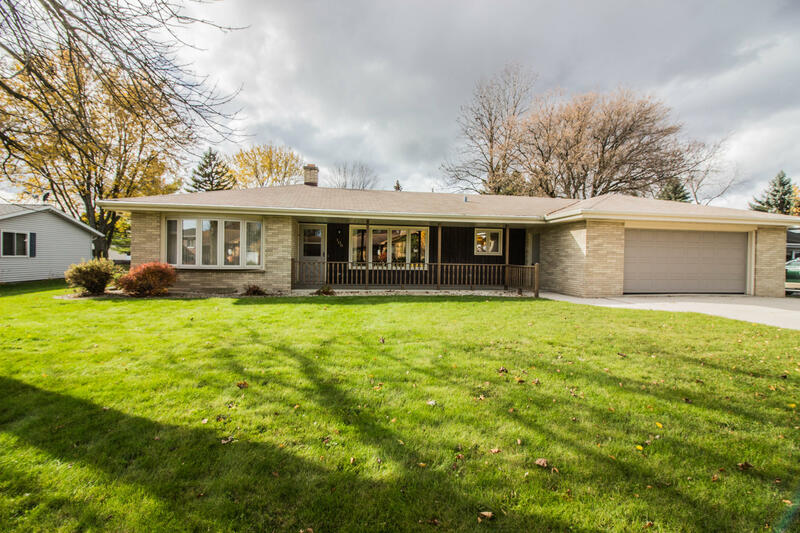 Original owners built this solid 1967 brick ranch style home & now it's time for a new family to enjoy it. Bring your ideas & decorating colors to make this your own. This nicely maintained home has 3 bedrooms, 2 full bathrooms on main floor with a half bath in the finished lower level. Enjoy a large family room & living room. Master bedroom has ''His & Her's'' closets & features ensuite. The 2nd & 3rd bedrooms have built in desks with lighting. Massive lower level is ideal for entertaining during the winter & huge patio is great for summer entertaining. Home has nice covered front porch & central vacuum is a plus. Close to beautiful Harrington State Park & I-43 for commuters. Make this your own!